The International People’s Agroecology Multiversity set up by PAN Asia Pacific serves as a global gateway for information and inspiration, with sections on knowledge, research, learning and community action. 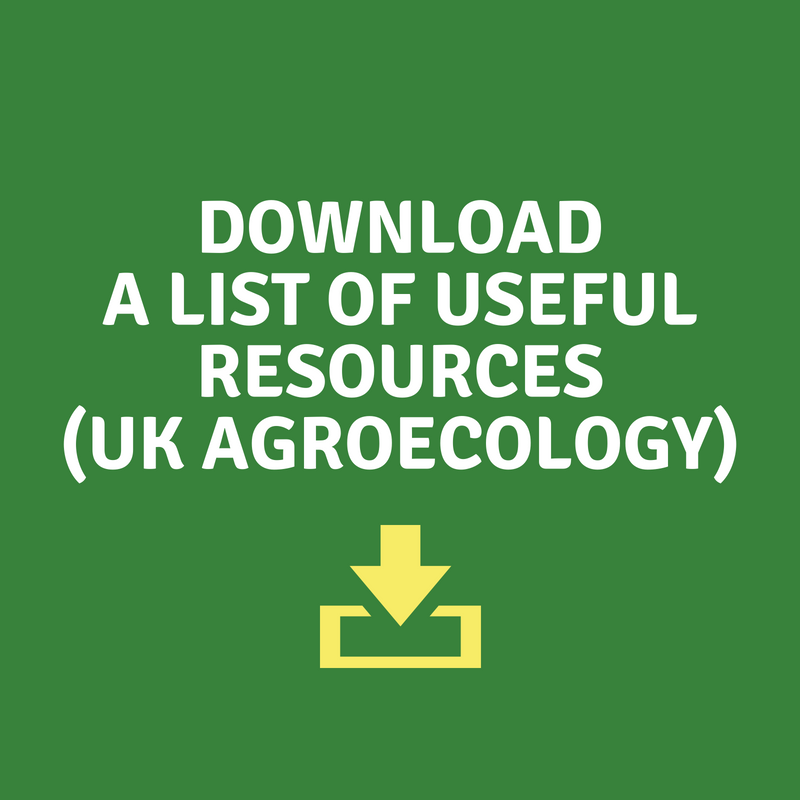 This website explains ten elements of agroecological practices, with case studies and resources. It also contains reports from regional conferences organised by FAO with policymakers. 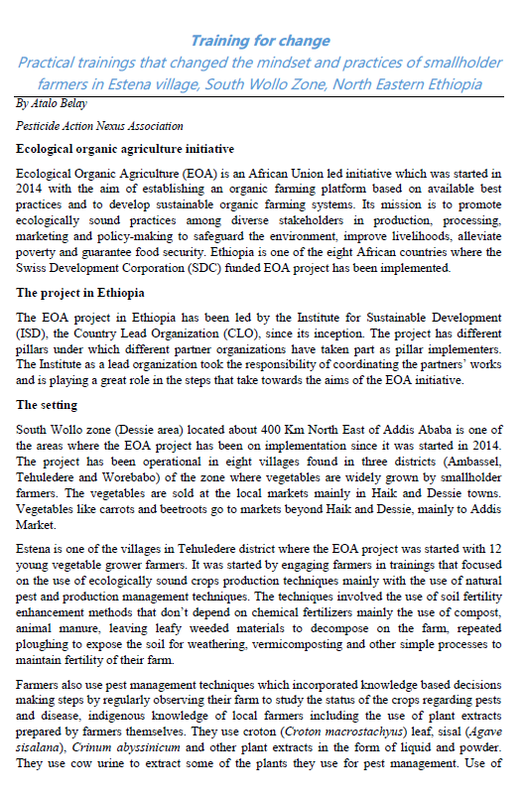 Practical training that changed the mindset and practices of smallholder farmers in Estena village, South Wollo Zone. 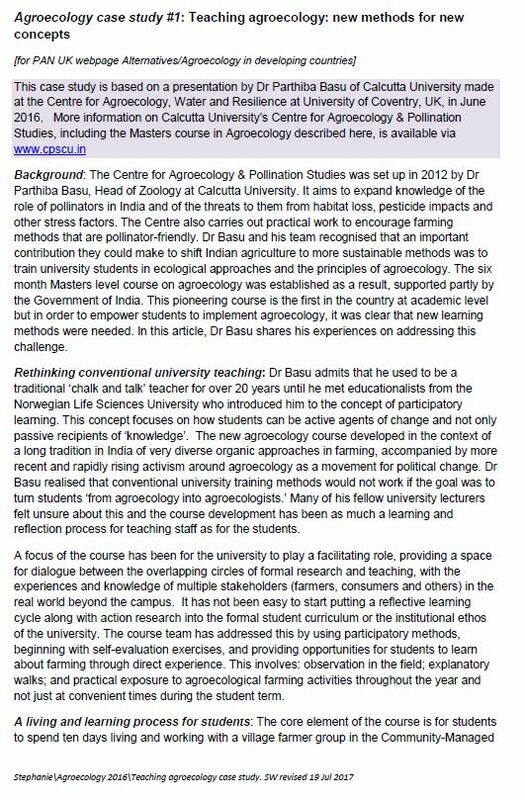 PAN India reports on policy and practical initiatives to increase the uptake of agroecology and organic farming in Kerala state (page 16). 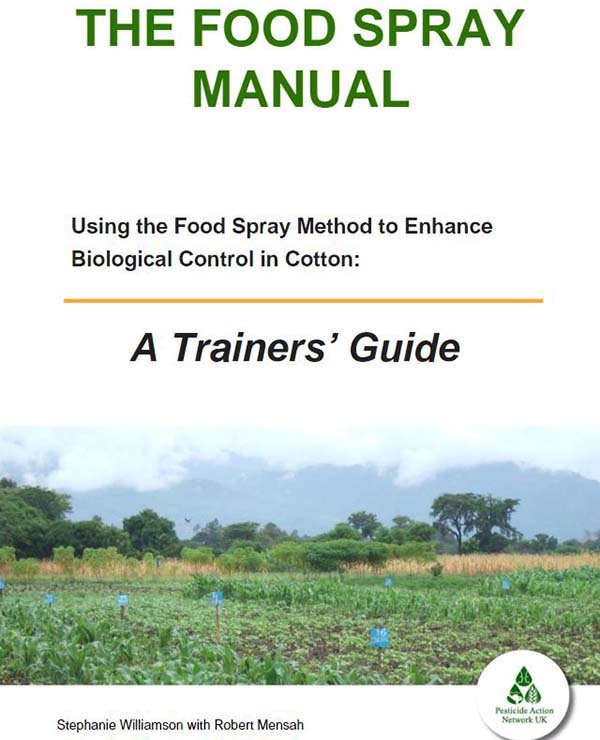 The food spray method developed by PAN UK collaborator Dr Robert Mensah with our partners in Africa is based on the agroecological principle of encouraging beneficial ecological interactions. Applying a food supplement onto cotton foliage attracts predatory insects into cotton fields to feed on pests. 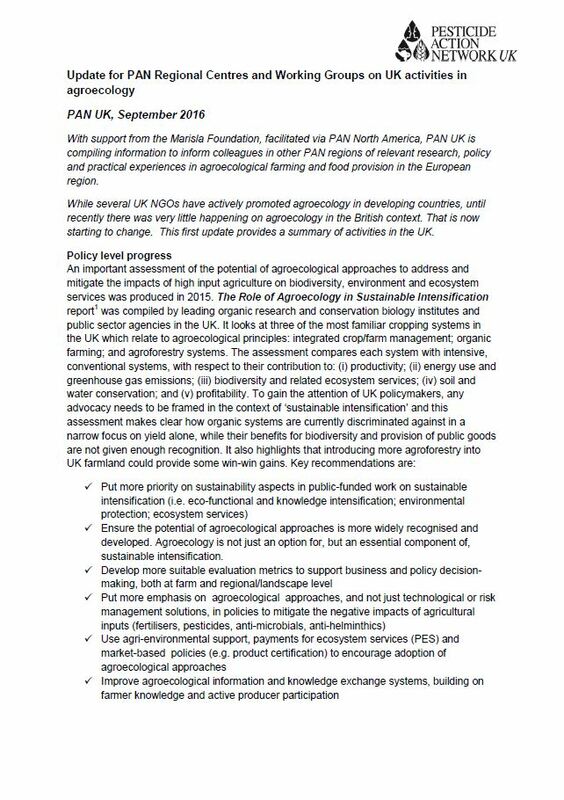 Developing countries have pioneered much of the work on agroecological practices, but there is now growing interest in Europe and North America. 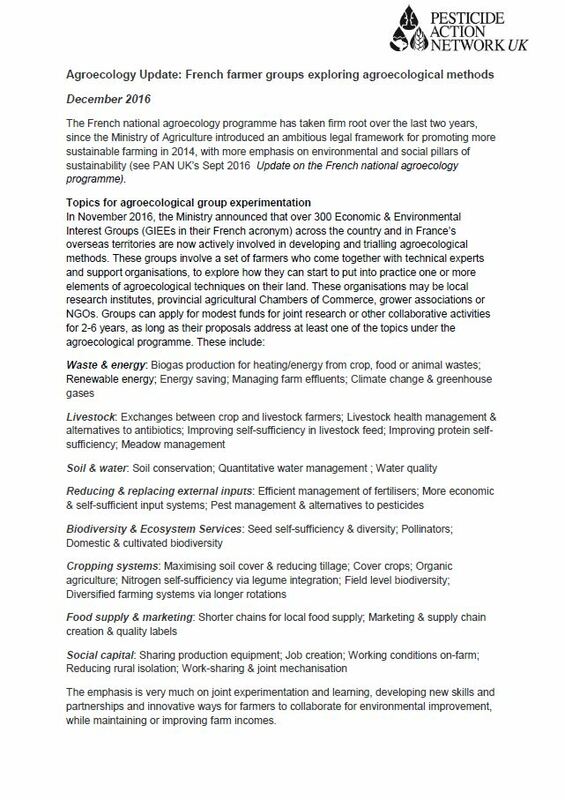 Perhaps the most ambitious initiative is France’s agroecology programme, aiming to implement agroecological methods on 200,000 farms by 2025. 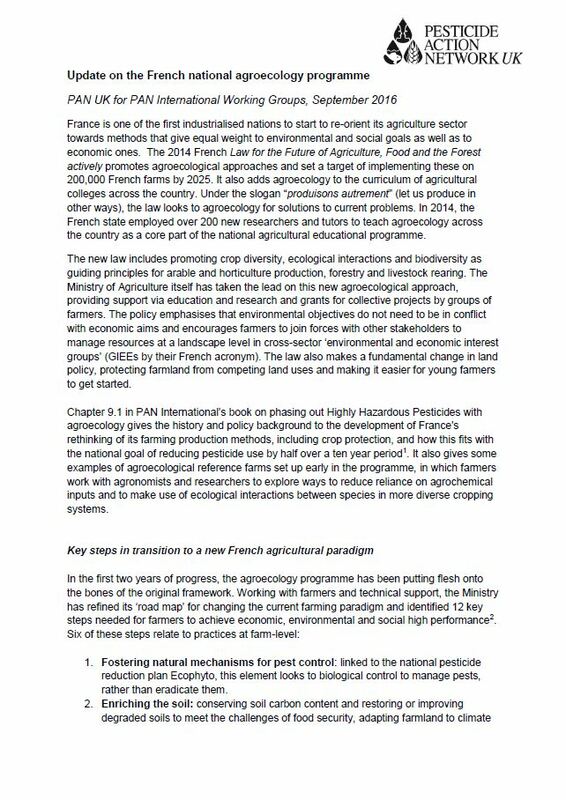 The French programme is outlined in Chapter 9 of Replacing Chemicals with Biology: Phasing out HHPs with agroecology, along with case studies from the US. 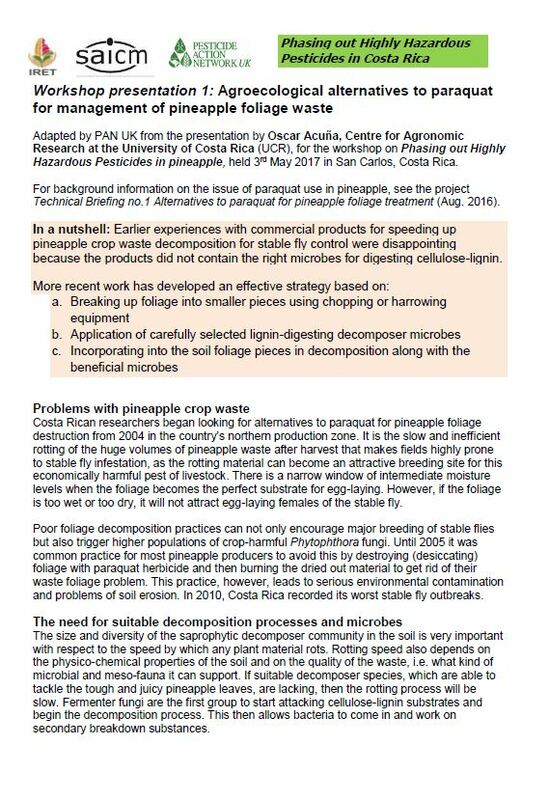 Exciting field research is underway in the UK too, with pioneering farmers from organic and conventional systems exploring how to: rethink crop rotations; grow different crops; integrate livestock and trees into arable farms; and enhance soil and plant health, while reducing or dispensing completely with agrochemical inputs. 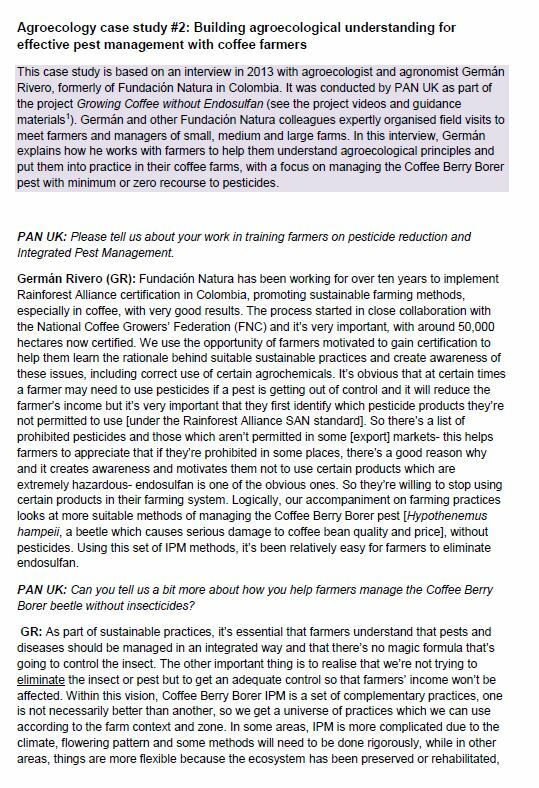 Interest in more sustainable farming systems based on agroecological principles is stimulating practical field experimentation on a range of topics in arable, horticulture and livestock systems, conducted by farmers and agronomists in the Innovative Farmers network and others. Trials in ‘field labs’ are looking at different ways to manage weeds with little or no recourse to herbicides, partly in response to increasing problems with weeds developing resistance. 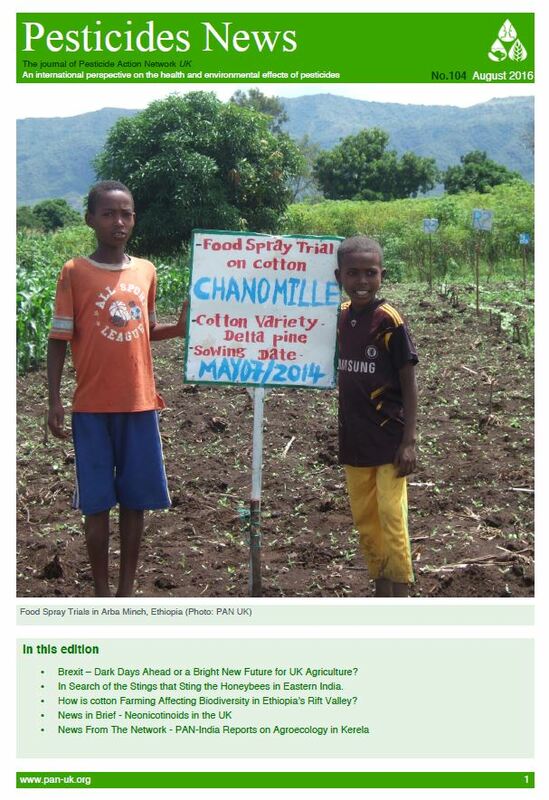 The latest Agroecology Updates summarise some of the field research and progress.